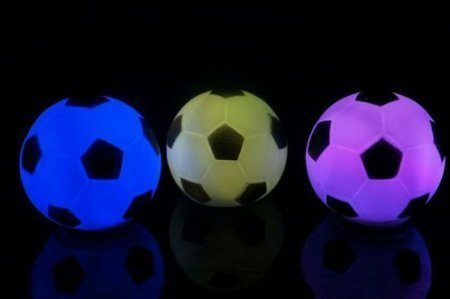 Soccer Ball Night Light Just $1.58! You are here: Home / Great Deals / Amazon Deals / Soccer Ball Night Light Just $1.58! Do you have a young soccer fan in the house? If so, get this Soccer Ball Night Light for just $1.58 on Amazon! And, even better, shipping is FREE! High quality and brand new nigh lamp. Colors change between red, green, blue, white, cyan, yellow, and purple. These appear to be out of stock, alas.